There is a lot going on in the world at any given moment that can cause us to feel fearful, and most of it seems beyond our control. All the more reason to stand strong against letting fear run the parts of your life over which you actually do have control! 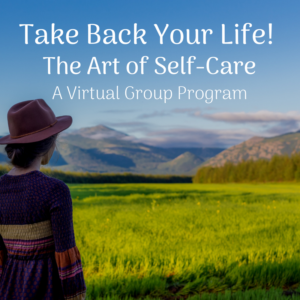 Note: Since there is a lot contained in this relatively short passage, it’s easy to focus on various aspects of what it teaches depending on where you are in your development of better self-care habits. To highlight the point about the role of fear in making changes, I have parsed the paragraphs and added italics for emphasis. It’s too easy to fall into the rut of stress. It actually requires no effort to feel stuck and overwhelmed. What requires effort is feeling good. In order to let go of stress, and feeling overwhelmed, you have to be willing to do something that is different than what you have been doing all along. You have to look at your beliefs that keep you stuck and ask yourself if you are allowed to feel good. I realize that sounds like a no-brainer, but many caregivers feel that it is normal, natural, and expected that they will feel this ongoing level of stress and upset. Many people have shared with me that they feel like something is missing when they feel relaxed, calm, and peaceful. This loss signifies to them that something is wrong. How often do you find yourself wondering the same thing? Human beings are amazingly resilient, and we can handle so much and adapt to many situations, making even the most uncomfortable and stressful situations seem normal. As the saying goes, “normal is as normal does,” and we can make most anything normal, including suffering. However, changing a habit, behavior, or belief means we have to change our definition of normal. It means we have to deal with the feelings that arise in the face of any change and not react to them, so that we can achieve a new definition of normal. When there is a crisis and everyone is running to the emergency room or hospital, running back and forth becomes normal very quickly, albeit stressful and upsetting. Everyone hopes it will be for a very short period of time. There is no time to think about what you need to do; you simply do it. When the situation becomes chronic, however, and schedules must be readjusted for the long-term, and you have to consciously think about your own needs, desired outcomes have to be looked at more clearly and directly. That means we need to address changes and create plans to adapt to a new normal. The desire to make changes has to be stronger than your fear of what others will say, think or do. You do not have control over them or their reactions, so it is imperative that you breathe through your fears, doubts, uncertainties, and whatever else has contributed to your feeling stuck up until now. In your circumstances, the “others” I refer to here might be the care recipient, other family members you rely on to participate in that care, or your spouse and/or children. 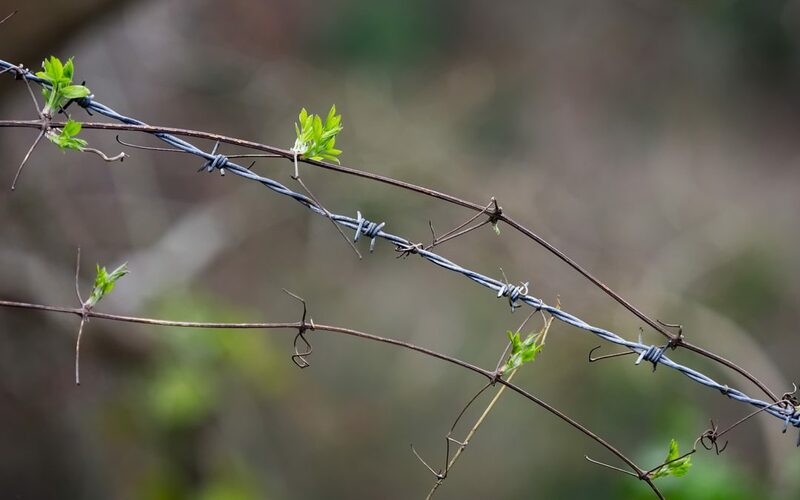 Whoever that may be for you, when you first become aware of – and admit to yourself the extent of – your aversion to dealing with other’s reactions, it can feel like a sort of “bad news” moment. Get beyond that feeling quickly by realizing that you hold the power in creating your new normal approach to the care you will provide going forward. As you wield that power with compassion and respect in your communications and commitments, you will gain the respect – if not the immediate cooperation – of your loved ones. The strength of your commitment to finding new solutions that work for you will help ease you over the bumps of others’ resistance to the changes you are making. You may even find yourself feeling compassion for them, as you see evidence of similar struggles going on within them. View creating this new normal as a team effort, where everyone pulls their weight and contributes what they can, and allow others to have their reactions while calmly stating your needs. Accept the reality of whatever truly cannot be changed, and keep looking for what can be. ~Feel free to leave a comment below about how fear of making changes show up in your life, and what you’ve learned about yourself through your experience with making changes. Let me know what insights, questions and ideas for change this article brought up for you. 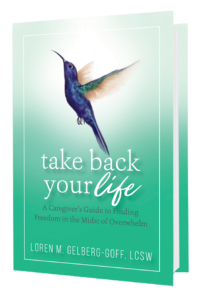 And if you haven’t done so already, be sure to download my complimentary “stepping-stones” roadmap for handling caregiver challenges, The Caregiver’s Step-By-Step Guide to Take Back Your Life. It comes with a companion audio and transcript, and provides a structure for walking yourself through the steps of a successful response to any challenging situation. Someone recently told me, “I use the Step-By-Step Guide every day!” Maybe you’ll find it equally helpful – hope so! Moving to a new normal is definitely not easy nor without it’s setbacks. One step forward is sometimes followed by two steps back but then you need to take those steps forward again. Persistence pays off. I suggest reading the Caregiver Journey developed by Well Spouse Assoc. This is a thoughtful guide thru our process which may help caregivers all over. As in a any marriage, both partners deserve a rewarding life. That is what we should be striving for. Care giving certainly should be a big part of that for us but it should not be all of our life.